Local health departments face significant challenges as they carry out their missions of promoting the health and well-being of residents in the communities they serve. How health officials handle recruitment and retention against the backdrop of constrained resources will directly affect how well they provide vital public health services to individuals and communities across the country. Health department leadership is concerned about recruiting and retaining well-qualified employees and keeping currently funded positions. Human resource rules and procedures and lack of opportunities for advancement pose obstacles to retaining well-qualified employees. 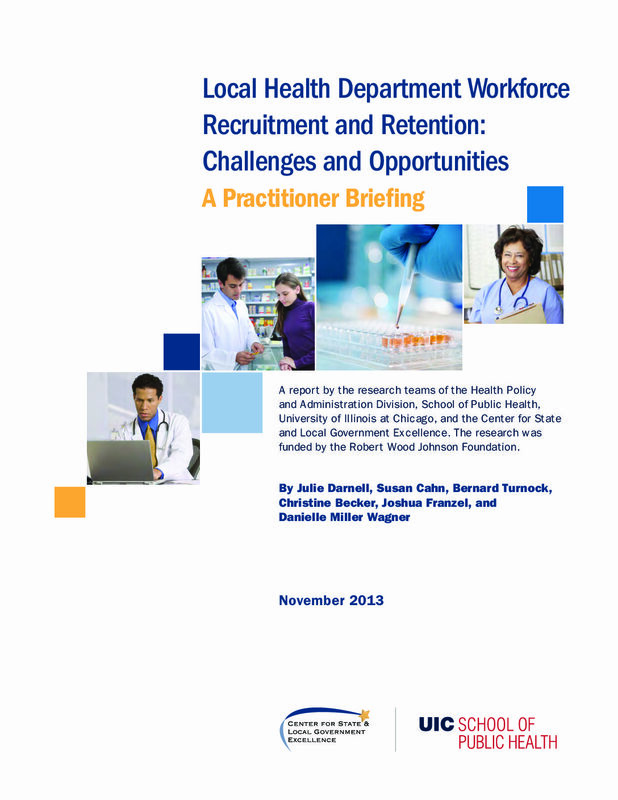 Recruitment strategies used by health departments are somewhat limited, particularly in smaller departments. Formal succession planning is not widespread despite leadership and staff turnover. The majority of health departments rely on informal succession planning.